Injuries and surfing unfortunately go hand in hand. It's only a matter of time before you're going to have to deal with some sort of injury. Whether it's overusing your shoulders, tweaking your knees and back, or just straining your muscles, it's bound to happen at some point. We are lucky here in Pacific City to have a local specialist that can help alleviate and actually help prevent some of these common injuries through the practice of acupuncture and herbal medicine. We decided to sit down with Liz Vitale and ask some questions about what she does, and why it's helpful! Because it's a new business here in Pacific City, she's been generous enough to offer up a deal to anyone who buys a wetsuit (full price or sale) from us during the month of February. You will get half off an hour acupuncture session ($35, normally $70). So if you're thinking about getting a new wetsuit and you've been curious about acupuncture, this month is the perfect time to grab some new rubber, and get your muscles worked on! What brought you to the Oregon coast? The ocean brought me here! I’ve always been in love with the ocean, and more recently fell head over heels for surfing. I love how through surfing I can get to know the ocean better, and I find the attention that it requires to be meditative and peaceful. It’s also led me into some wonderful friendships and community. What do you love about the work that you do? I love that I get to connect with people in a deep and fulfilling way every day. The building of rapport with my patients is so important in the healing process, and it’s something that I enjoy. What I love about working in Pacific City specifically is the community here. I feel fortunate that I get to be a catalyst for health and positive change in the lives of the people I work with. In a world that is struggling in many ways, I witness shifts towards health and wholeness and this helps me remain hopeful. I am often humbled by the resiliency I see in patients in the face of struggle and suffering. What is a typical treatment like? Overall, I work towards treating the root causes of disease or imbalance, which leads to lasting relief from symptoms. I always want to get to know the person I am working with, and ask a lot of questions which help me understand how all the systems of the body are working together and interacting. Chinese medicine is a truly holistic medicine built upon the understanding that everything is interconnected - not only all the systems of the body, including the psyche, but also our environment and how we relate to it. The myriad interconnections mean that healing one part is not separate from healing the whole. I also spend time feeling the pulse, tuning into the way in which blood is flowing through the vessels, which helps me come up with an accurate diagnosis. After this, I typically needle several points and do some gentle bodywork, cupping, or moxibustion. When appropriate I also prescribe herbal formulas to take at home which can help continue the healing process. Acupuncture should not be painful. Forty acupuncture needles can fit inside the standard hypodermic (blood draw) needle - in other words, they are tiny! Sometimes patients do feel a little pinch, or a sensation when a needle is inserted, but it is often a pleasant and interesting experience, not painful. If a needle feels uncomfortable in any way, I always either take it out or adjust its position until the discomfort dissipates. Are there other options beside needles? For people who are nervous about needles or who are very sensitive, I opt for using a teishin instead of inserting needles into the body. A teishin is a small tool commonly used for acupuncture in Japan, and is utilized by holding the tip to acupuncture points. It has a similar effect as a regular needle, with a more gentle approach. I also offer craniosacral therapy which is a form of bodywork. This can have positive effects felt through the entire body, including reduction in pain and stress. Can acupuncture treat anything besides pain? Yes! I often help people struggling with stress, insomnia, digestive issues, asthma, allergies, headaches & migraines, circulatory issues, anxiety & depression, and autoimmune conditions. Chinese Medicine is an evolved system of assessment, diagnosis and treatment developed and refined by generations and generations of doctors to treat patients with every type of complaint. Our bodies are incredibly capable of healing themselves, sometimes they just need a specific stimulus to get the process going, and that’s where I can help. What muscles that you typically use during surfing can benefit from acupuncture? We can put the musculature of the shoulders, neck and back through a lot when surfing. They can all benefit from acupuncture if they are feeling tight, sore or overworked. I’ve noticed that with shortboarding in particular, the knees or ankles can be easily tweaked. Acupuncture can help strengthen these joints to prevent injury, or bring pain relief and healing to an already existing one. Sometimes I give patients taichi exercises to practice at home which can help build muscle memory of healthy alignment, promote flexibility, and strengthen supporting tissues. Definitely! Acupuncture helps stimulate proper circulation of energy and resources throughout the body. When the resources required to maintain health can reach all parts of our body with ease, our tissues stay nourished and we are less likely to get injured. There is a saying in Chinese medicine that goes “where there is free flow, there is no pain; where there is pain there is no free flow.” Flow can be inhibited for any number of reasons, but whatever the cause, acupuncture can help restore it! 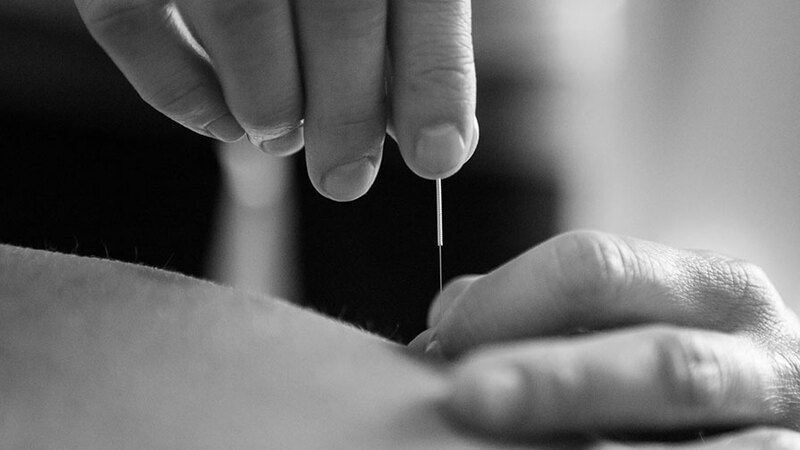 Do you offer any other treatments that would be beneficial for a surfer besides acupuncture? Yes, I offer bodywork and herbal medicine, which can both be helpful for surfers. The bodywork can be very soothing for sore and tired muscles, as well as increase the rate of muscular recovery, preventing injuries from overuse. 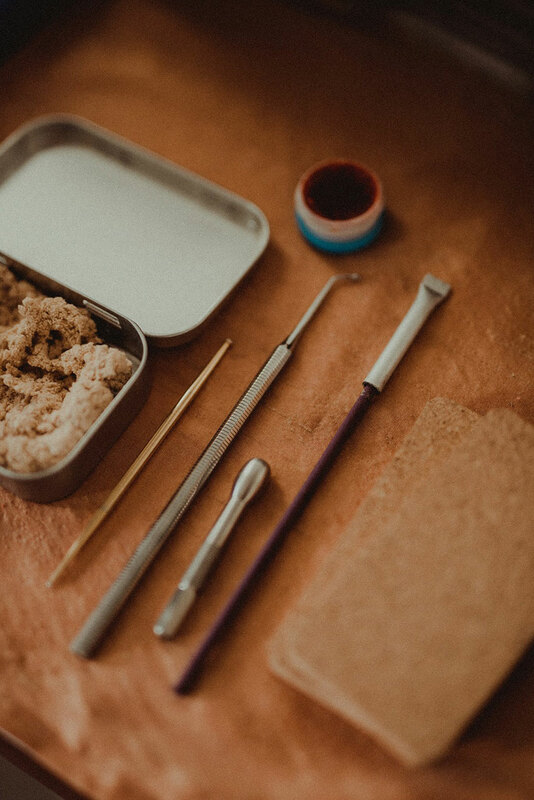 Herbal formulas that I prescribe can treat a variety of complaints which surfers might have - for example, there are some herbs that are great for treating pain, while others can help warm a body that spends a lot of time in cold, wet environments. I also keep some external herbal applications in my clinic that are perfect for injuries, both acute and chronic. They can help not only with alleviating pain, but also promote faster recovery of the damaged tissues. Craniosacral therapy can be awesome for surfers, especially for anyone who has had a concussion. This type of treatment helps by boosting healthy circulation to and within the brain, aiding in recovery of the damaged tissue. What is cupping and its benefits? During cupping, heated glass cups are applied to the body, which creates a suction that pulls on the muscles and loosens adhesions. This releases tension and increases blood flow to the area - it can feel especially great on the back and shoulders, a bit like deep tissue massage. The increased blood flow means that cells whose job it is to repair tissue are more able to get to the area in need of healing.